From the After Life, ten-year-old Andy Smithson’s relatives initiated a curse 500 years ago. Now they no longer agree it should continue and one is willing to sacrifice Andy’s life to end it. Unaware of the disagreement and with no say in the matter, Andy is unexpectedly and magically transported from his home. He finds himself in the Land of Oomaldee, facing mortal danger at every turn as he seeks to find a scale from a rare red dragon, the most ferocious of dragon species, to break the curse and save his life. I was given a free ebook by the author for review purposes. 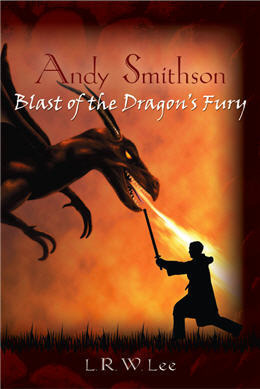 Andy Smithson: Blast of the Dragon’s Fury is the first book in L. R. W. Lee‘s series and is the story about Andy, a ten year old kid who is trying to live a normal life, however when he is drawn towards a trunk in the attic everything changes. Dragged from his home he is transported to the mysterious Land of Oomaldee where he is told he is the one who will break a curse, find a dragon, and rescue a kingdom. I enjoyed reading this book, I think the idea behind the narrative is very clever, and certainly leaves room to be developed further through a series. We are introduced to this curse but we are not given the exact nature aside from snippets of information. This makes you very curious about what is happening and certainly makes you eager to find more about the curse. This is a good tactic, and one Lee does well, while we are not privy to everything going on, we learn with Andy about the land, the curse, and what his role is to save the King and the kingdom. The story opens with a prologue, and while some people dislike prologues, I don’t mind them when they are done right. I don’t think of them as a set up or explanatory back story exactly, I think they can sometimes be something that just gives you a glimpse of the story or the world even before you know what is going on. Then once the story starts you can dive deeper and read the rest, maybe even have a moment in the middle where a detail from the prologue makes the story make a bit more sense and brings clarity to a scene. The prologue in Andy Smithson does show us a history, but also does not give a lot of answers either. Once you get involved in the story you know certain things, but there is still a lot unsaid. Lee gives us a great idea of the world Andy finds himself in, the descriptions are just right, without being too bogged down with detail, and there is enough the create a great image in your mind of the land and the people. Like a true fantasy novel, a map of the land if given at the start of the book showing the regions of the Oomaldee land as well as the surrounding lands. Through the novel a lot of regions are mentioned, and as Andy begins his quest it is a good focal point to understand where he is and where he needs to be, but Lee uses words well and as Andy travels around the land the pace and detail used is enough to make sure a clear image is created in your mind. With more books in the series no doubt we will get to explore more of the land, as well as those surrounding it, but what Lee has already provided is an enticing teaser. The characters in Andy Smithson are unique, and have their own quirks and characteristics. There is the King of Oomaldee who is tired of the curse and wishes to free his kingdom, and by his side is Mermin, Mermin apparently being the brother of the great Merlin, and who has a speech impediment. Another character is Alden, a servant boy in the castle who becomes friends with Andy. Alden is a good character, he is bright and helps Andy find his way around the land. Certain characters of course get more padding, but there is still plenty to gain an understanding of their character, especially through other character’s eyes and in their actions. This reduces the need for complicated histories and analysis of minor characters. This is almost true for the main characters as well, there is not a lot of intentional describing or catch up histories, instead, as Lee focuses on them a lot more, we see who they are, the life they lead, as well as the person they are through the narrative. 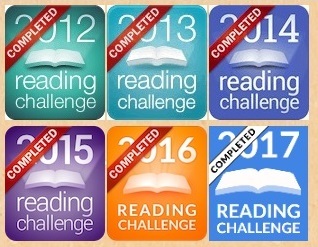 This works well as a book for this age bracket because it is woven into the story, and the character of a person is developed through the story and readers can see it for themselves rather than be told how a character is as a person. The only thing that caught my eye was the strong moral messages that were throughout. I can see that reading it as a child these may not be as noticeable, one of the disadvantages of reading as an adult I suppose, but they could have been less obvious I felt. They come and go quite quickly but they stood out. Even if a moral message was intended, perhaps weaving it into the story a bit better would be better rather than having Andy experience inner conflict and resolve it almost within the same page. Perhaps this is connected to the fact we see so much of this world through Andy’s perspective, as a child we are shown things through the eyes of a child and therefore we are exposed to the feelings and emotions that come along with this perspective. I think that these lessons are good, they show kids a range of issues such as keeping secrets, controlling jealousy, and dealing with other issues that arise in a kid’s life, but whether they were too deliberate may be a disadvantage. There are some excellent moments where you can read between the lines with relationships and gain a lot of insight into characters and relationships, especially what is said and not said, those moments can speak volumes compared to what is spelled out. These were the moments I thought Lee did very well, a great example was Alden and Andy towards the end of the book; a lot could be said by what Alden did and especially did not say and lessons are shown as well as an insight into his character. Even given the small insights in the prologue we still learn alongside Andy, we uncover things as he does, and while we may have theories or figure things out before him, it doesn’t always mean we necessarily know things he doesn’t. There is drama and friendship, and the fairytale notion of the child hero that is trying to save the world. As I say, the premise is quite good, an adventure story with secrets, mysteries, and curses to keep you engaged. This story goes back to the long adventure stories where there are dragons to fight, kingdoms to save, and travellers wandered the lands with bags on their back with everything in it, seeking help from people they meet or in villages. It is ideal for a kid to read about this kind of adventure and imagine the world Andy fell into. With the ending Lee gives us it is enough of a cliff hanger to make you want to get right into book two, yet still manages to feel like the book was finished right, a bit like the last chapter was more of a teaser into book two rather than an ending to book one, it is done quite well. I look forward to seeing where it goes next. Previous The Sword in the Stone (#1) by T. H. White Next News!…News?